With Clipboard, you can forget having to keep a mailing list of all your staff. Choose to email your whole organisation, select activities or specific individuals. One home for all staff information. Click on an employee’s profile to view contact details such as their mobile number or email address. Working With Children Check numbers are also stored, with notifications sent to you when any are about to expire. You can also leave ‘Manager Notes’ on an employee’s profile, allowing you to keep track of information such as accreditations. View schedules at a glance. 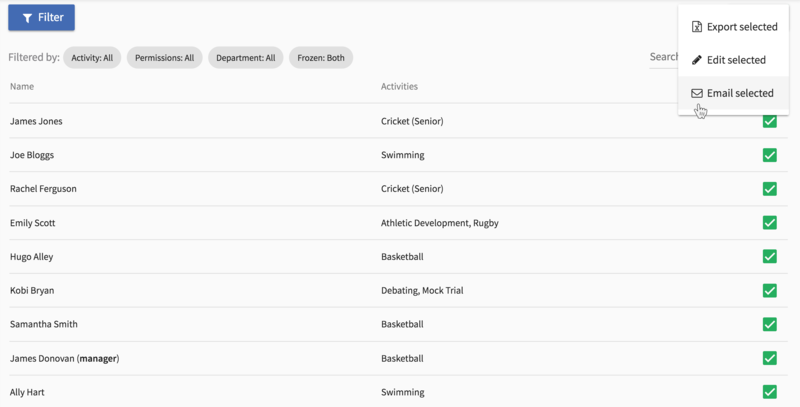 Each staff profile is a snapshot of their schedule, showing you their trainings, games and unavailability.